Technology devices can be seen everywhere these days. People of all ages are using digital devices for both learning and entertainment. What I like most about using technology supports is the magic it may unfold for those with both learning and physical disabilities. Many moons ago it was this very reason I fell in love with using technology. I had this dream of unlocking doors for students who were challenged by fitting into inclusion classrooms. When looking at a whole classroom community one should not be able to distinguish the challenged student from their peers. This is where technology may be used to assist with supporting student’s independents during certain classroom activities. Present day schools have a tendency to integrate 1to1 devices. This doesn’t necessarily mean one device per student all day to take home at the end of the day. However what it does is provides the opportunity to use a digital device throughout the day during certain activities. Thanks to this students with disabilities are able to interact with classmates without an adult hovering at their side. Independents maybe one of the best esteem builders for some challenged students. Due to my position as a teaching assistant one of the most common statements students have made over the years is, “I can do this by myself.” Students often state this because they feel uncomfortable and zeroed out by their peers for having an adult assist them all the time. Digital devices may unlock a student’s freedom by reading or writing for them. There are applications such as Google Calendar, and Keep which may be used to support student organization. These tools may also be used as a way to quietly communicate with a student. This is due to the sharing ability of calendars and Keep Notes. It allows an adult to indiscreetly edit the information a student types in. 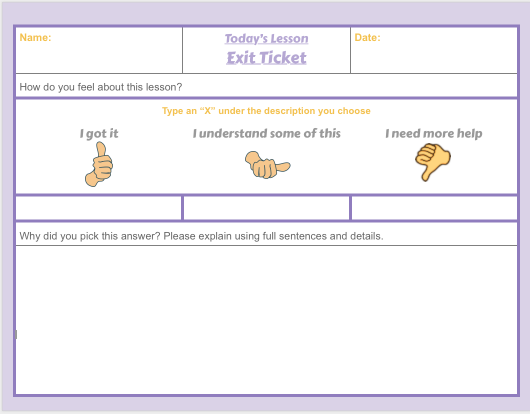 These tools also allow teachers and support staff to provide interactive links, videos, visuals, audios and etc… to help the students with learning the information presented in the classroom. I view using technology as a tool to bolstering a students esteem by helping them to independently interact within a classroom community. What better tool to use then one which empowers students to independently participate within a classroom community. New Google Calendar Tops the Cake!